"All went really well last night. The technician was great as well, so thank you for that." Visuals are undoubtedly the perfect way to communicate memorable messages. Every image is worth a thousand words. Nowadays, people are surrounded by images – on the Internet, on films, in the media. As a result, people increasingly have much shorter attention spans and are more likely to focus on an image, or concentrate on lighting effects than on spoken or written words. Whatever the event, be it a presentation, a conference or a product launch, audiences expect high quality visuals. The big problem for event organisers is making sure that the equipment providing the visuals works every time and that everyone present can see the visuals clearly. It is no use having brilliant visual illustrations projected onto a screen if half the audience cannot see them due to poor sightlines. The failure of highly anticipated light shows, video conferencing systems that don’t work, a lack of co-ordination between laptops and central systems immediately creates a negative image of your business. Just think of how many times you go to a talk and find the presenter struggling to connect laptops for a power point presentation. It makes the organizers look very unprofessional. This is where Audio Visual Productions can help. As a reputable, reliable business, we have over twenty years experience providing equipment for visual presentations. Every item is fully checked and serviced before it leaves our warehouses. We ensure that you know how to operate it, and are happy with the operating instructions. We even have qualified engineers available who can be hired to install and operate the systems for you, thus ensuring that any unexpected glitches are dealt with instantly before audiences and presenters are even aware there is a problem. It also means that our audio visual engineers can provide a much more complex visual offer if required, combining mood lighting, colour swathes, synchronized music and visuals to make presentations even more effective. Our warehouses contain thousands of items of equipment available for instant hire including laptops, video mixers, camcorders, video conferencing, seamless switchers, fast fold screens and projectors. Whatever equipment you need, we have the solution. We can create bespoke packages combining equipment, technical support and other services such as event production and graphics. A dedicated project manager is available 24/7 to deal with queries and provide advice. All you need to do is ask! Talk to us now to see just how we can help you create the perfect visuals for your event. 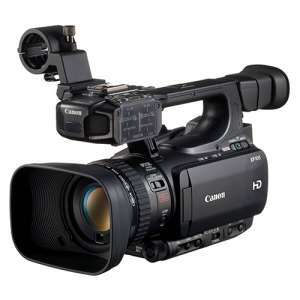 Canon’s XF105 HD Professional Camcorder is a compact, fully featured handheld video camera that imports nearly all the features and functionality of the 3-chip XF305 into a smaller, single sensor form factor, making the Canon XF105 ideal for conferences and seminars. Its 1/3″ CMOS sensor and DIGIC DV III image processor combine to support 1920 x 1080 resolution video at 24p, 30p, or 60i, which is recorded to Compact Flash cards using Canon’s XF Codec (MPEG-2 4:2:2) at bit rates up to 50 Mbps. Email Audio Visual Productions for a quote. Our HD-SDI distribution amplifiers are high performance distribution amplifiers specially for the audio visual industry. 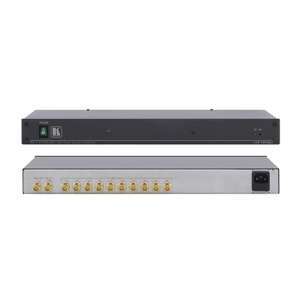 The units takes one input, and provide a reliable distribution signal to two, four, six and ten identical outputs. The V-1600HD switcher features a built-in preview monitor that provides a convenient monitoring solution when external monitors are not available or ideal. The sixteen inputs provide connectivity to HD/SD-SDI, DVI-D/HDMI, RGB, Component, S-video, and composite formats – as well as still images assignable via USB memory. The 14 mixing channels provide built-in scalers and frame syncs for worry-free seamless mixing regardless of the resolution or format. We highly recommend this unit for large scale conferences and events. Why not contact Audio Visual Productions for a competitive quotation. Operators are also available if needed. 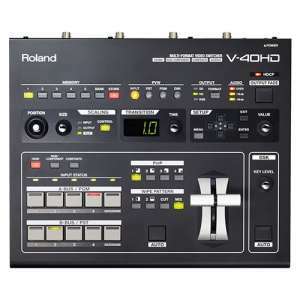 The Roland V-40HD Multi-Format Live Video Switcher is a welcomed addition to the powerful V-1600HD. 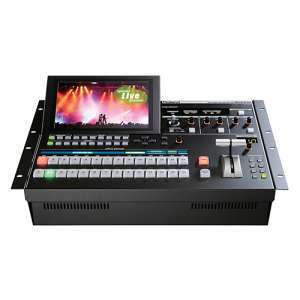 The V-40HD Live Video Switcher is ideal for smaller events that require up to four independent inputs. It is particularly positioned to support configurations using HDMI Laptops and VGA computers. Contact Audio Visual Productions for a competitive quotation. 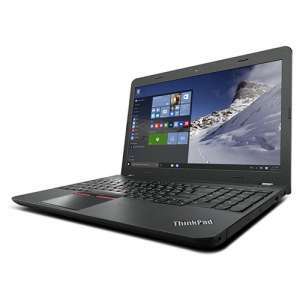 A 15.6” business laptop that balances function and design, the ThinkPad E560 is your best bet. 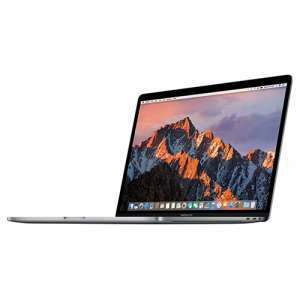 Thin and light, the E560 boasts a brilliant display, all-day battery life, and robust manageability and security features. Integrated HD Webcam and noise cancelling microphones and full HD graphics, this is the ideal laptop for corporate presentations. We have a large selection with Windows 7 and Microsoft Office 365 pre-loaded in stock for immediate dispatch. It’s razor thin, feather light, and even faster and more powerful than before. It has the brightest, most colourful Mac notebook display ever. And it features the Touch Bar — a Multi-Touch–enabled strip of glass built into the keyboard for instant access to the tools you want, just when you want them. MacBook Pro is built on groundbreaking ideas. Loaded with Playback Pro as standard, we use these at corporate events more and more. 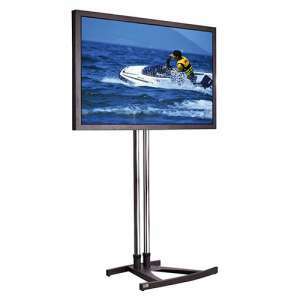 From 22″ to 152″, we have one of the largest stock holding of commercial monitors in the UK. All impeccably maintained to ensure the client the a great product on every hire. Contact us for a competitive quote. 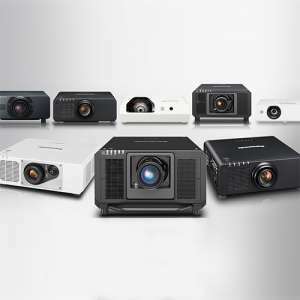 From small meetings to large scale international conferences, we have supplied projectors for every possible event type. From small desktop projectors to large image blending projectors, contact Audio Visual Productions for a fantastic service. The Cisco C20 TelePresence creates an immersive, in-person experience, empowering you to collaborate with others like never before. Through a powerful combination of technologies and design that allows you and remote participants to feel as if you are all in the same room, the Cisco C20 TelePresence has the potential to provide great productivity benefits and transform your business. Contact Audio Visual Productions for a quote on 0207 177 3405.